QuiltersShowcase is the BLOG for all things quilting within the Warehouse Shops Network. A place to find what’s new, interviews of leading quilt pattern designers, comments from customers about particular patterns, and in general, any news that pertains to the quilting world. Written by the staff of Prairieland, Inc., QuiltersShowcase is just another part of this companies quest to provide the best source of information and products to the creative world. QuiltersWarehouse provides the quilter as well as shop owners one source for locating leading quilt pattern designers on the Internet. Each of these designers web sites is a part of the entire family of shops network represented in the QuiltersWarehouse catalog which has a wide range of patterns, old and new, available for purchase. Providing online and 24/7 phone order fulfillment for these designers, in most cases, our staff also manages these independent quilt pattern designers’ web sites as well. Prairieland, Inc., has been in business since 1983 and originally served as management consultants for business and trade associations. In 1993, a change in focus resulted in the opening of a regional quilt store located in central Illinois. Since that time, Prairieland Quilts has provided area residents a place to purchase quilt supplies, fabrics, classes and sewing machines. In August of 1999, the management staff at Prairieland, Inc. launched QuiltersWarehouse.com. 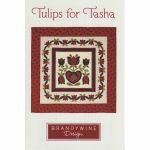 It’s purpose is to provide an outlet for quilt designer professionals to merchandise their products on the internet without “all the hassles”. In the spring of 2003, Prairieland, Inc. launched NeedleArtsWarehouse.com which features products within that industry. September of 2003 resulted in the consolidation of these 2 online systems into one comprehensive catalog system which brought all the product lines together. Located at WarehouseShops.net, this system also merchandises for FatQuarter Warehouse and Prairieland Quilts into one shopping system.